START CREATING YOUR LEGACY TODAY! Legacy Point Realty is a cloud based, full-service real estate brokerage with a mission to help agents build businesses that produce financial stability and personal well-being for themselves and their families. The real estate industry has been evolving for years, and recent years have seen an even greater transformation. Ever-changing technology, economic instability, increasing costs and more have resulted in Brokers trying different business models, attempting to find better ways to attract and keep Agents and serve the clients profitably. But the simple fact is, there's only 100 pennies in every dollar and there is only so much Gross Commission Income (GCI) in every transaction. The GCI must cover the costs of both the Broker and the Agent with enough left over for both to make a profit. Costs include technology, transaction support, training, office services, marketing, supplies and materials, and more. Additionally, some Brokers pay 6%-8% franchise fees on every transaction to their corporate headquarters, and many times, these franchise fees are passed on to the agent. These factors contribute to a "tug-of-war" over commission splits and costs between the Agent and their Broker. If an Agent receives a very high split, more costs are passed on to the Agent in "fees" or the level and quality of support provided by the Broker is reduced. Some brokerages offer nothing more than a place for an Agent to hang their license. Splits are 100% and the fees are very low, but in these firms, the Agent is literally on their own; bearing all the costs, receiving zero support and having no culture or positive interaction. Even when splits seem reasonable, critical services such as training and coaching may still be lacking; or worse yet, there are more fees for these vital services. At Legacy Point Realty, we believe that you can have a financial platform that allows you to keep more of what you earn without sacrificing the necessary tools, training, and support to be successful. Our platform offers agents the necessary tools to be successful and it allows them to keep more of what they earn. Legacy Point Realty Agents are able to choose from 2 different Commission Platforms - one based on the agent keeping 100% of the GCI and only pay a small fee per transaction, and the other based on a very competitive Commission Split with a CAP allowing the agent to keep more of what they make. Legacy Point Realty also is up front with all the fees an Agent might incur. We don't believe in nickel-and-diming our agents for services. There are no annual fees, no franchise fees, no desk fees, and no hidden fees! You only pay a Transaction Fee, a monthly Administrative Fee, a one-time activation fee upon joining and that's it! If you have more questions, please feel free review our FAQ page or simply contact us and we will be happy to answer any questions you may have. 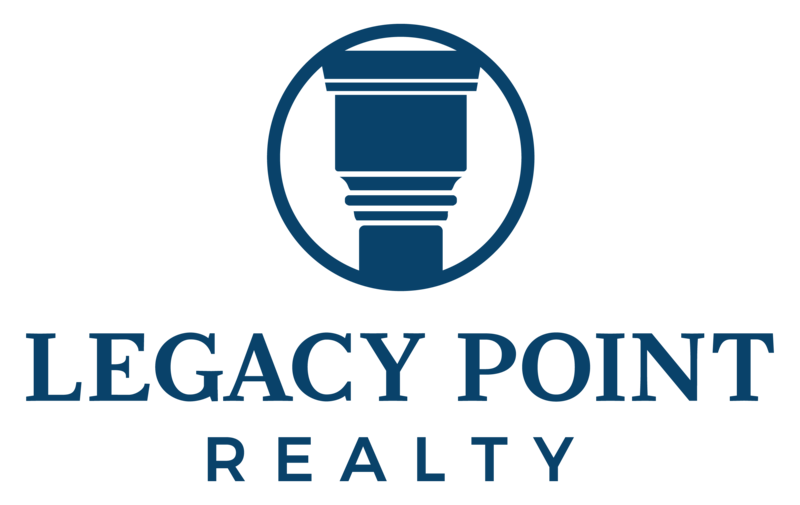 Join the Legacy Point Realty team today by emailing careers@legacypointrealty.com or calling (903)651.2516! We look forward to having you.